This morning I needed a healthy jump-start. A kale berry smoothie recipe worked perfectly for me. We were lucky enough to pick up some great organic blackberries and raspberries from our local supermarket at a decent price. Blackberries are an excellent source of fiber and essential vitamins like vitamin C, K, A and E. Some researchers even say blackberries might lower your risk of getting cancer! So I would say this is an ideal berry to add to your kale berry smoothie. There are not very many steps involved in preparing and making this smoothie. Like always we start with washing our kale and removing the stems. 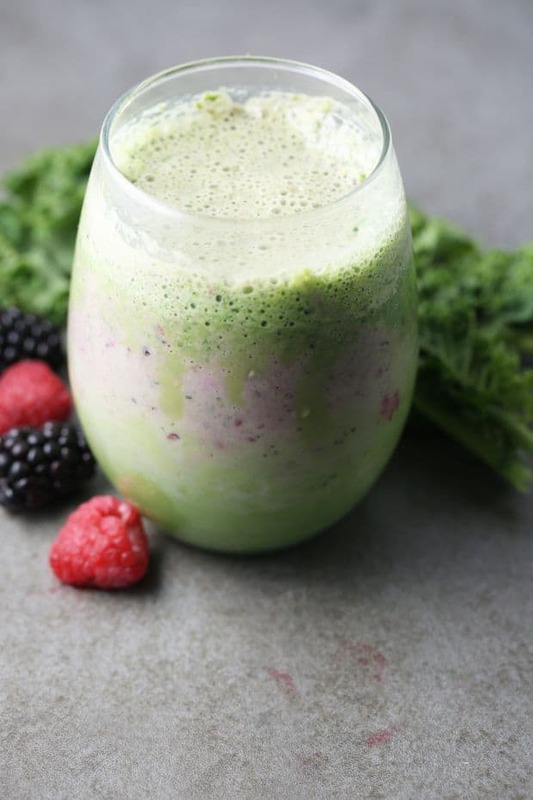 Kale, raspberries and blackberries are pretty much all you need to make this healthy smoothie. 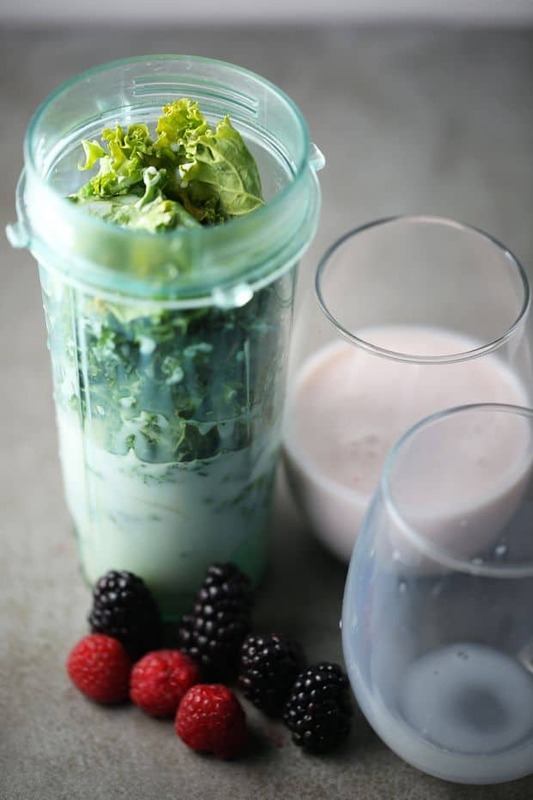 Blend kale with milk, berries with kefir, and combine all in a glass to enjoy this delicious smoothie. 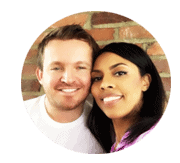 Are you ready for another kale smoothie? 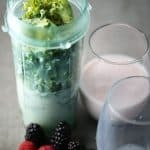 Check this kale berry smoothie recipe. 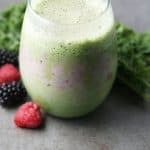 Healthy and powerful kale berry smoothie. Delicious and fresh raspberries, black berries, and Kefir full of probiotics is an ideal to way to jump-start your morning. 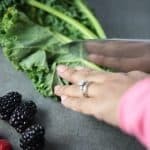 Wash kale and remove stems. 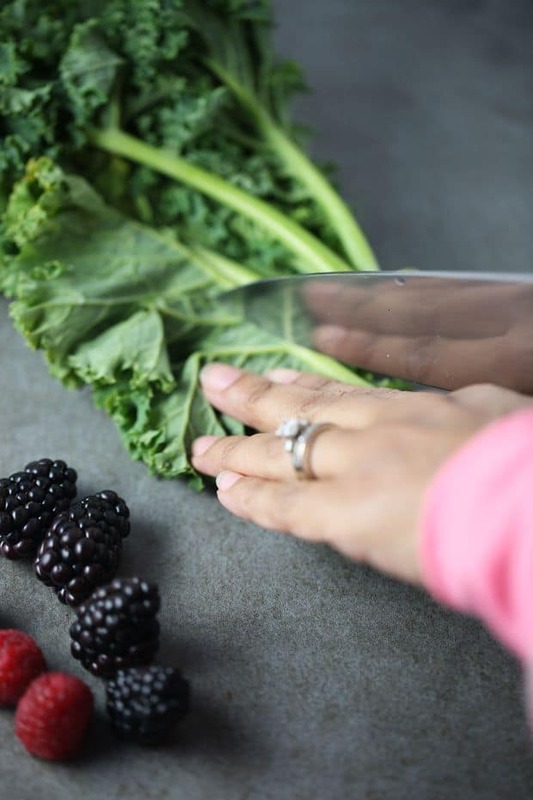 Chop kale into smaller pieces. Put in a blender cup, and add 1/2 glass of milk. Blend for about 10 seconds. Transfer it into a glass. Combine berries in a blender cup, and add 1/2 glass of kefir. Blend for about 5 seconds. Combine all in the same glass and enjoy! The texture looks a bit too thick for me, but the idea itself is kind of cool.